Colocation or ‘Colo’ is a solution offered by major data centers that provides businesses and organizations a place to host their servers and other IT hardware in a secure, high-tech facility. Whether it’s a small business that doesn’t want to hire an entire tech department, a large company that wants the stability and security of a data center, or somewhere in between, Colocation offers benefits to all types of businesses. 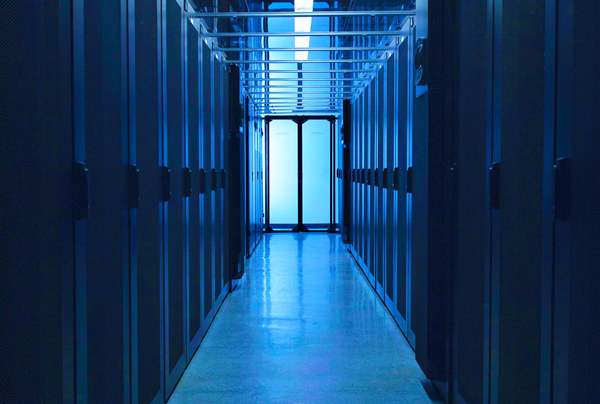 Most data centers that offer colocation have high levels of physical security. Features such as security cameras, 24×7 on-site staff, individual cages or cabinets have locks, as well as biometric scanning at all access points and more! If the proper security is in place, a data center may also be SSAE-16 certified. This allows businesses to colocate their equipment and benefit from the SSAE-16 compliance already in place to avoid costly and time-consuming auditing of your company’s office or facility. With Colocation, businesses own their equipment. Since they own the equipment, only their staff has access to it and the data it holds. Unlike typical web hosting solutions, where data may me stored on a shared server, they will be the only ones with access to their data. Most businesses run 24×7. Even after ‘store hours’ a business needs to be online and connected, especially if they operate an online store or website. Being down for minutes or an hour can spell disaster. Imagine an organization’s IT infrastructure down for a day or a week while the power’s down due to a storm. This disrupts potential clients from accessing their servers! 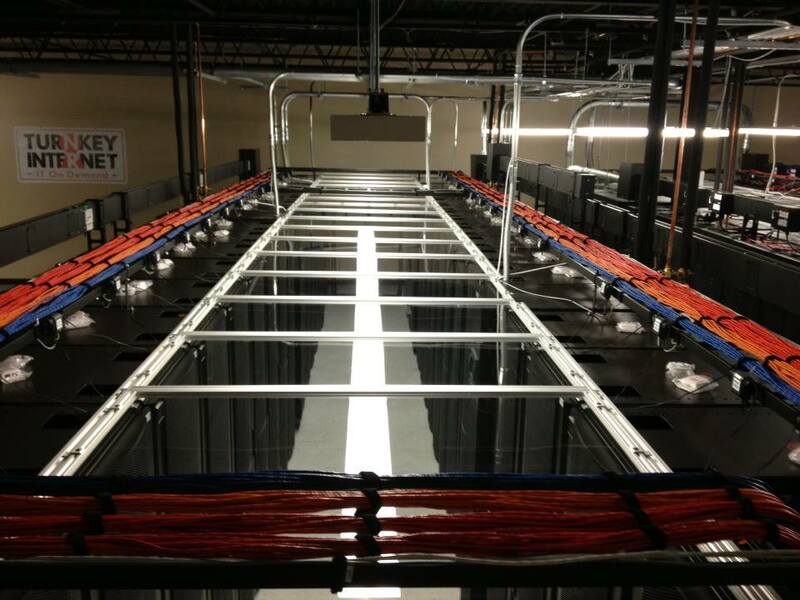 In a colocation facility like TurnKey Internet’s datacenter, your company’s IT infrastructure is housed in our redundant, high-speed Internet-connected facility, with continuous power provided by industrial UPS battery systems and on-site diesel generators for emergency backups. In a typical office IT environment, if a company quickly needs to increase bandwidth or add physical space to the office, they could wait weeks or even months. When their infrastructure is located in a colocation facility, they can provide huge amounts of additional bandwidth within minutes or hours. A typical data center can have a bandwidth capacity 10,000 times that of a typical office cable Internet connection. Businesses that build their own on-site IT infrastructure can spend hundreds of thousands of dollars, if not millions, to have the same bandwidth capabilities and enterprise grade power and cooling systems featured at a colocation facility. Fiber optic lines, connecting to major internet hubs across the world are not purchased for pennies either! Add in redundancy to their office, and businesses are paying tens of thousands of dollars a year. On the other hand, if they instead chose to utilize a colocation facility, it might have cost them less than $100 a month. Colocation is the ideal solution for companies, service providers, small businesses and IT resellers who want a stable environment in which to completely control their assets. It provides complete control of your hardware, software and networking to match your needs without worrying about the supporting infrastructure. By colocating with TurnKey Internet, you are able to focus on your business and not on office networking, power or server issues that plague localized installations and office infrastructure. We provide redundant networking, power and cooling to ensure your services remain online and accessible at all time. While outsourcing non-core business functions to cloud-computing enterprises is a growing trend, many firms still prefer to keep a close eye on their most critical business functions and databases. Internet professionals such as website hosting providers and website designers are well aware of vast server farms that rent dedicated servers to website design firms, retail concerns and innumerable other commercial and non-commercial organizations, but colocation providers generally have worked quietly in the background. Still, they continue to offer invaluable services to businesses that wish to retain ownership of the computer servers that host their core business functions and intellectual property while also outsourcing hardware management and its associated concerns to industry professionals. For many companies, offloading the care and feeding of computer servers onto trained IT professionals at a colocation provider carries multiple advantages. Indeed, colocation services have steadily expanded year after year with leading industry experts expecting the global colocation market to exceed $33 billion by 2018. An in-depth examination shows that five major considerations lie behind the decision by CIOs and other corporate officials to rely on colocation services. Colocated servers are only as good as the internet connectivity that allows them to cram immense flows of data up and down the line, and colocation providers typically subscribe to multiple high-level broadband providers such as Level 3 Communications to establish superior bandwidth redundancy and to encourage competition that results in cost savings for both the colocation provider and server owners. Quite apart from the sheer efficiency of sharing top-tier bandwidth access across innumerable servers, the climate-controlled environment keeps servers within a consistent temperature range to ensure that sensitive network equipment and server components don’t fail from extended exposure to excessive heat. The impact on productivity from moving corporate offices, encountering a natural disaster or suffering through an extended interruption of electrical power can be disastrous. Even the most efficient company may experience a series of unfortunate events that repeatedly delay its return to full operational status. In the meantime, customers may be yelling about misplaced orders and bungled services, and employees may be left without real work as core business processes fail to function as expected. More than a few CIOs and other upper-management staffers prefer instead to shield the company’s critical server operations from such potential chaos by entrusting them to an efficient colocation provider with multiple power backups and contingency plans for dealing with everything from earthquakes through cable-chewing squirrels. In an age of brazen corporate espionage by overseas agencies, ensuring physical data security can be a challenge. Even in the absence of foreign or domestic interest in valuable intellectual property held by a business, employee honesty and awareness of basic security precautions aren’t always guaranteed. Hard drives and other computer components sometimes have a habit of walking out the door, and allowing direct physical access to servers located inside open offices also increases the risk of malicious hacking attacks by criminal gangs through the agency of malware-laden USB sticks left lying around in company parking lots. A well-equipped colocation provider likely will lock down its facilities with multiple security measures, including burglar-resistant, alarmed entry and exit doors; coded access procedures that track all physical access to hosted servers; strategically placed surveillance cameras; biometric scanners to prevent unauthorized access by intruders and even individually locked cages for each client’s servers. Spreading the cost of these high-security measures across hundreds or thousands of servers allows the colocation provider to efficiently offer economies of scale otherwise unavailable to the great majority of small to mid-size businesses. As a business expands or contracts in response to unpredictable economic swings and marketplace developments, its computing needs may similarly fluctuate. Managing human resources typically represents the largest expense for the great majority of firms, and the hiring and firing process is invariably expensive and painful. Instead of suffering through unpredictable demand cycles for in-house staff to manage IT hardware resources, business customers may purchase additional servers from the colocation provider or else instruct a responsible staffer to purchase additional custom equipment to be delivered to the colocation provider for installation. Maintaining in-house data management facilities typically invites unexpected capital outlays that play havoc with limited quarterly budgets. Many firms prefer the predictability of a fixed monthly outlay that covers the great majority of expenses associated with managing critical IT hardware capability across all corporate functions. Strategic planning and corporate accounting become easier with fewer surprises for the unwary. Why Colocate With TurnKey Internet? TurnKey Colocation is the ideal solution for companies, service providers, small businesses and IT resellers who want a stable environment in which to completely control their assets. When utilizing our state of the art colocation facility you are able to control your hardware, software and networking to your needs without worrying about the supporting infrastructure. In doing so, you will immediately recognize tremendous savings while also getting peace of mind that your equipment is hosted in a 100% sustainable, green and SSAE16 audited, secure facility. Traditionally, customers would create their own localized infrastructure which is costly and inefficient making colocation with TurnKey Internet the ideal solution. By colocating in our facility you are able to focus on your business and not on office networking, power or server issues that plague localized installations and office infrastructure. We provide redundant networking, power and cooling to ensure your services remain online and accessible at all time. Our facility is redundantly networked with several TIER-1 peers allowing us to offer several connectivity options allowing our customers to reach theirs as quickly as possible and without worry of network downtime, which is completely SLA protected. All colocation customers have 24/7 hour access to their equipment and also receive network reboots per-port or per-strip at no additional charge. Whether you purchase a single U, multiple racks or an entire cold containment POD, we include rebootable PDU’s or PDU ports with EVERY colocation purchase. At TurnKey Internet we are available 24/7 to assist you with all your needs. How long has it been? 4, 5 years? 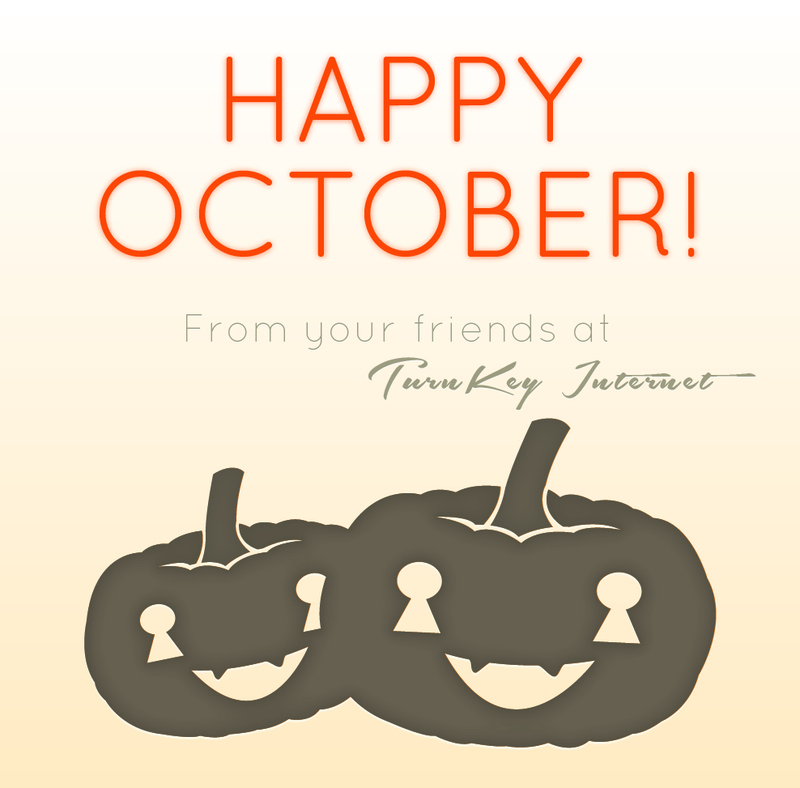 Probably only a few months, but with all the exciting things happening at Turnkey lately, it’s been easy to lose track of time. Well, I’m back with a special treat. One of my co-workers asked me to help write a post comparing VPS’s(Virtual Private Servers) to dedicated servers and finally to colocation. Well, I have to admit, it sounded a bit boring to me. I didn’t want to just write one long article comparing those 3 very different items. I wanted to write something different, but didn’t have many ideas on where to go with this. What are VPS’s, dedicated servers and colocation services? Enter stage left, the Marketing Room. I went and spoke with someone you’re probably very familiar with, Dylan Youngs. Top 5 best marketing coordinators: Dylan, Dylan, Dylan, Dylan, and Dylan (I’ve always enjoyed saying that since I’ve met him). Shared hosting is to living with your parents as VPS’ are to getting your own apartment. That may sound a bit confusing, but stick with me. When you’re a child living with your parents, they provide for you. They place a roof over your head, food on your table and hopefully a nice bed to rest your head. 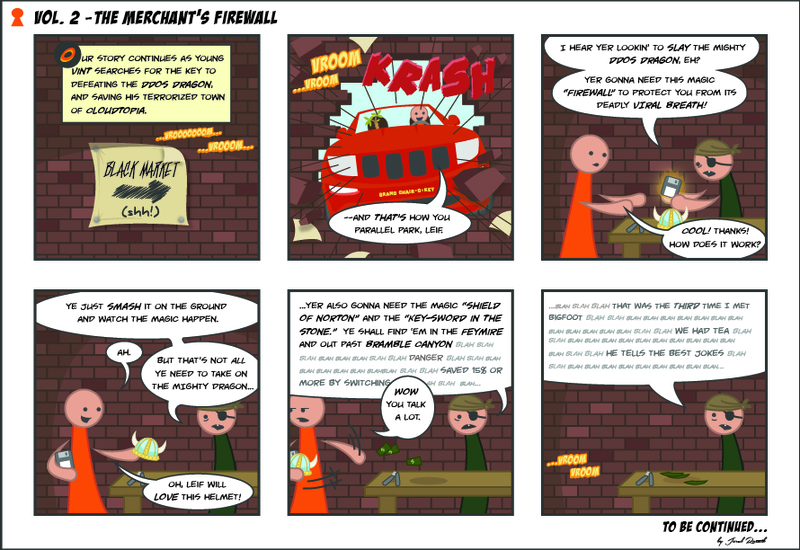 How does that relate to shared hosting and VPS’s? Well, let’s say you wake up one day and decide that you want to have a website. Maybe you have a business and want to reach out further to potential customers or maybe you just want to display some art that you’ve been working on to the world. Whatever reasons you may want a website you will need a place to “house” it. Host the site if you will. We provide you with a website building tool to help get your website created. We also provide you with different tools to get your site listed on the greater internet. Providing you a “house” and “food” for your website to perform properly. Next thing you know, your art goes viral and everyone wants to see your site. Some people even want to buy a piece of your art. You reach out to a developer and using the tools provided through Turnkey, they create you a database to allow you to begin to sell your art online. Your new site is in full swing with new people seeming to view your site every day. New inquires for your art are flooding into your email inbox, but something happens. Customers are beginning to complain about the slowness of your site. Some saying that it takes 15 seconds plus to load the site. You reach out to us! 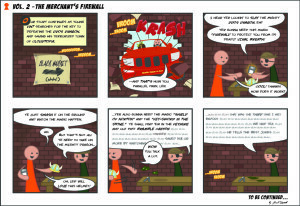 TurnKey Internet (parents in this extended metaphor) and they make some tweaks for you. We inform you that your site has “grown up” a bit and no longer is eating baby food, but now is ready for full on adult food! Your bandwidth is increased and you’re given more disk space, however, you only see a small increase in the performance of your site. Your developer informs you that you should install some additional modules to help speed up the site, but when you attempt to install them, you discover that you need greater access to install these features. Your host informs you that the modules you’re requesting would affect everyone else on the server and as “parents” of the server, they won’t install the custom software to ensure a stable environment for the rest of the customers. Or in laymen terms, your “parents” say you will play by their rules while living under their roof. It’s at this point that your site has matured and grown to a point that it’s time to move to its own environment. It’s time to get your own “apartment” so that you can run and install items for your site to perform better. It’s time to get your own place and that’s when you discover that TurnKey sells these items called VPS’s (Virtual Private Servers). From a bit of research, you learn that on the VPS, you can have your way. You can install custom applications. Tweak the settings and just have greater control, however, the best part is that you will have your own “apartment” which means no more sharing resources with other customers. With that, you send a sales inquiry to Turnkey Internet to gather more information. And there it is. Come back next week to learn more about becoming an adult in the hosting world! Why move to The Cloud? Here is October’s cloud tip! With the help of cloud-managed services along with services like colocation, your businesses IT downtime problems can be spun 180 degrees! Cloud-managed services and colocation allows for practically 100% uptime with on-site technicians, backup generators, and upscale, reliable servers. Moreover, load balancing is taken care of. With our always top-of-the-line servers and the capacity of our state-of-the-art data center, we allow for the capability of storing unlimited data from the existing, as well establishing clients, while re-balancing and scaling their servers in real time. 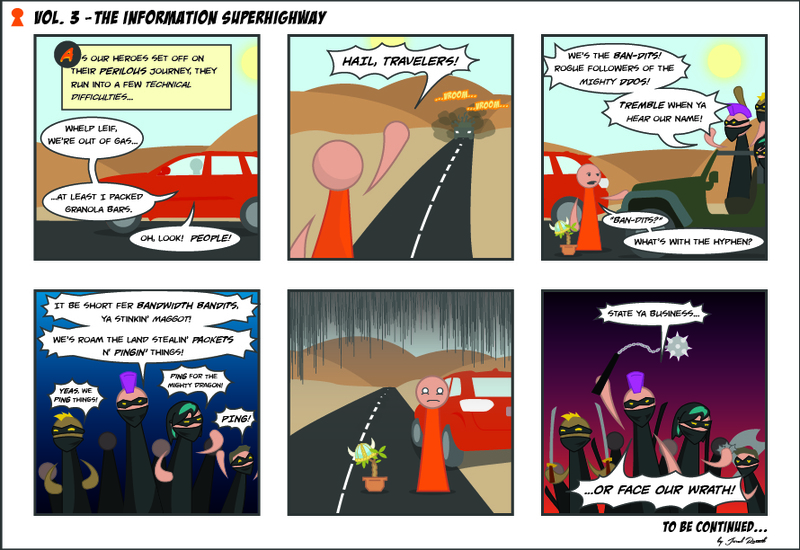 Do not wait for a human error or a storm to knock down your entire IT infrastructure. Business is 24/7! See how moving to the cloud can improve your business, or learn more about the benefits of colocation. Last month, we introduced our first “Featured Client”, Nick. 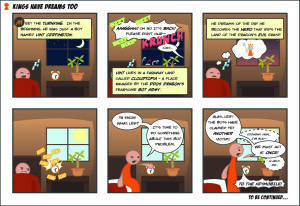 If you didn’t get to check that out, Nick runs a Web/WordPress Development Studio (called W5 Web Designs) that specializes in small to medium-sized business site development. Here at TurnKey, we appreciate each and every one of you TurnKey Turkey’s (hmm… that’s catchy)! To show our appreciation, we like to highlight a client and give our friends in the World Wide Web a little background on what they do. Nick was nice enough to give us a TON of info about his business, how he’s enjoys being with TurnKey, and even sent in a great photo of his family! This time around we have our mate Darren who is from across the pond. And without further ado, here is a little info on our new Featured Client! 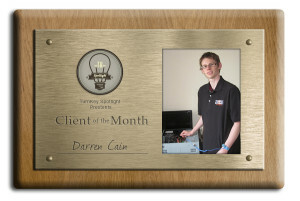 Darren is the founder and CEO at Torpix Network in Oxfordshire, United Kingdom. While studying Media at college, he found a passion to work with computers and eventually became a computer technician in the UK. 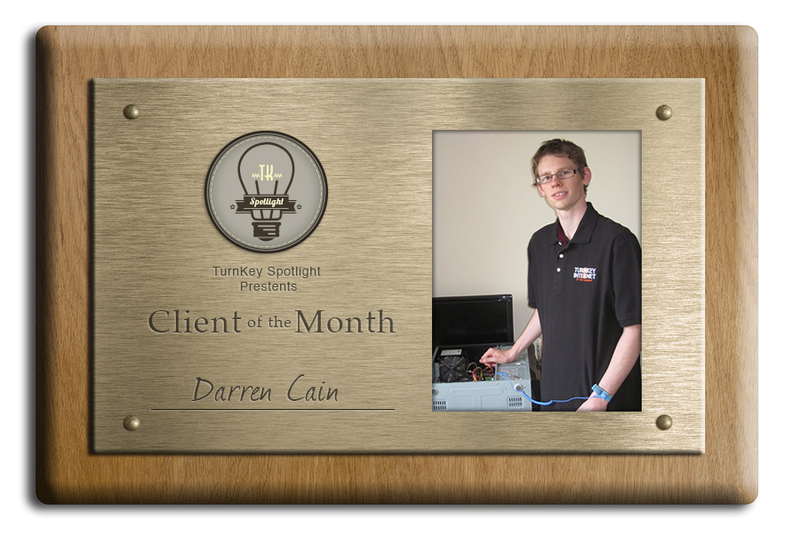 Four years ago, Darren began Torpix Network and offered IT services as a hobby. Since then, Torpix has turned into an active business. If you want to learn more about Torpix Network, go check them out! If you want to be the next Featured Client, email dyoungs@turnkeyinternet.net or let us know on our Facebook or Twitter. Why move to The Cloud? Here is August’s cloud tip! 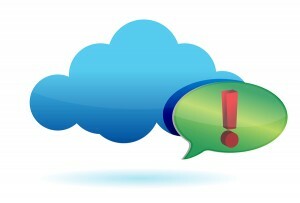 The entire concept of cloud computing is divided into three forms of cloud. These include Public cloud, Private Cloud and Hybrid Cloud. All three have significant characteristics; however their choice depends on the personal requirements of businesses. In this type of cloud form, data stored is in a cloud server- which is located at a distant place elsewhere. It enables users to share and access data from anywhere and at any point of time. This means public cloud promotes shared environment for businesses. It can save having to hire a tech department and can be placed in a data center like TurnKey, where our techs can handle your entire IT infrastructure. A private cloud is beneficial for those organizations that do not want to share their confidential data with any third party. Data stored in a private cloud is secured in the firewall settings, which enable only the authorized parties to access data and do not invite any third party. The private cloud model is good for super-secure businesses, but tend to cost more to buy all the equipment and hire techs. A hybrid cloud is a mix of both and gives users or business entities the advantage of both the cloud environments. Suppose, a business enterprise wants to share its services and products with its clients across the globe, but at the same time wants to hide the confidential information from them, Hybrid cloud architecture would suit best for such types of businesses. Why move to the cloud? Here is June’s cloud tip. When we say that by putting everything on the cloud can reduce your worry of keeping a track of hardware and software devices, we probably want to make your existing physical world into a virtual one. With managed cloud services you don’t have to bother about what’s going on in your in-house IT premises. Let your cloud manager do the burdensome work and help you get rid of all the expensive hardware and software that cost you almost an arm or a leg. No matter what business you’re in, data security is important to you and to your current and potential clients. For many small business owners, the fear of poor security is enough to inspire them to invest huge amounts of money in in-house data infrastructures to run their businesses. In many (if not most) cases, this level of infrastructure far exceeds what the company needs, or even what it can handle. Hiring the IT staff necessary to keep in-house technology running and up-to-date, alone, can put you out of business. And with the constant evolution of technology today, the costs are not likely to go down any time soon. On top of all that, your data security probably isn’t as solid as you think it is. The first step towards financial independence from your IT infrastructure is downsizing. I don’t just mean buying cheaper or less robust equipment, I mean getting rid of your equipment all together. It might seem like a bold step, but the number of world-class, secure, affordable web hosting and data storage providers out there make this step a no-brainer. Not only will you enjoy improved data security and performance, your out-of-pocket costs will plummet. Good web hosting companies can afford to have the most robust, powerful security measures available. Why not trust the experts? While it will probably feel strange at first–like you’re arriving at high school without your pants–you will quickly realize how liberating it is to trust your data to a company that specializes in security. If you do your homework and sign up with a reputable company that offers guarantees (guaranteed backups, guaranteed bandwidth, etc.) you will have someone to hold accountable when things go wrong, and you will be protected by their terms of service and their public reputation. No good web hosting company is going to let your business fail because that means their business fails. In an online climate where word of mouth makes and breaks businesses every day, the small business consumer is protected like never before. Also, when your data is accessible remotely, your office suddenly becomes mobile. You can access your business website, client records, everything, via a secure remote connection. This can be a real boon for a small business, especially when that business only has a few very busy employees. By outsourcing all of your IT costs, you won’t have to worry about electricity, IT staff, hardware replacements or the potential for catastrophic data loss due to fire, flood or any other natural or man-made disaster. Your business won’t be tied to one physical location. If you sign up with a company that has multiple data centers, you can opt to have your data backed-up to multiple geographic sites. This redundancy protects you, your clients and your business future. One of the most compelling reasons to get your infrastructure out of your office is the possibility for on-the-fly technology upgrades. What if your business suddenly takes off? Do you want to be held back by your aging infrastructure? With a good web host, you can add server space quickly and easily. Often all you will need to do is submit an online order! If you are not particularly tech-oriented, or don’t feel entirely comfortable letting go of your hardware, find a package that includes fully managed support. Wouldn’t it be nice to have someone to call when things go wrong? Someone who knows the technology backwards and forwards, and who’s fee is already included in your monthly bill? Yes. Yes it would.